• by Cash (EUR, USD, TL or GBP) or by Credit Card during the Tour. *Every day except Mondays and Thursdays. 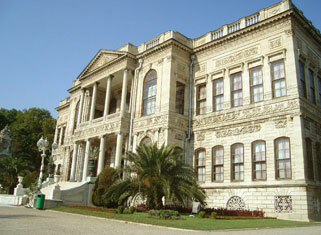 styles, was built between 1843 - 1856 by Karabet Balyan, the court architect of Sultan Abdulmecid. construction of the mosque. Upon completion in 1851, it was opened for prayer.